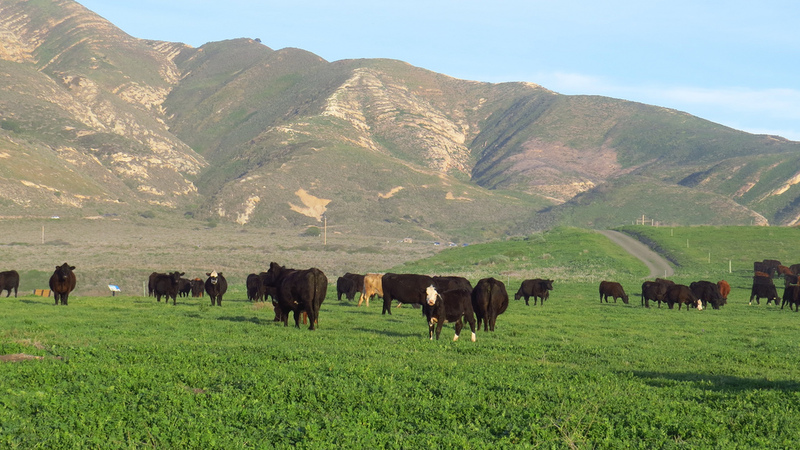 You are at:AgEconMT»News & Posts»Livestock»Is the Cattle Futures Market in Chaos? 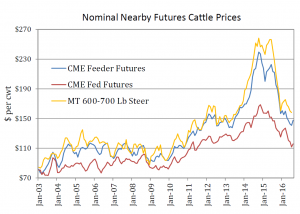 Is the Cattle Futures Market in Chaos? Last week, the Wall Street Journal published an article titled “Welcome to the ‘Meat Casino’! The Cattle Futures Market Descends Into Chaos.” Closer to home, the Great Falls Tribune published a related article. 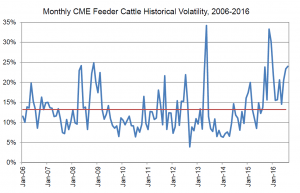 These articles focused on the lack of volume in the cattle futures markets and it’s impact on ability of ranchers, feeders, and packers to effectively hedge price risk through the futures market. While some argue that high frequency traders are to blame for increased volatility (see below), others blame the reduced trade volumes. So, the question then remains, can this futures market still be useful to those in the cattle industry to hedge price risk? First, let’s look at the reasons a futures market exists in the first place. The main reason the Chicago Board of Trade became the first standardized commodity exchange in 1864 was to provide a market where those who wanted to reduce market exposure could transfer this risk to someone who is willing to accept this risk. For example, a rancher in Montana who wants to buy insurance against the price of feeder cattle falling in October might purchase a put option. For this to work, there must be someone willing to back that insurance product, and often those individuals come in the form of speculators. In spite of their bad rap, speculators provide important liquidity and opportunities farmers and ranchers to utilize the futures and options markets. 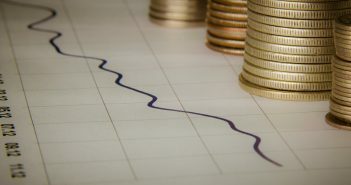 A second and important reason for the futures market is to provide price discovery that can be useful for contractual agreements in establishing a baseline for national prices. With other commodities, such as corn and soybeans, these are the basis for crop insurance policies. This second reason relies importantly on a substantial amount of volume that comes from these markets. Without a doubt, volume in these markets have fallen over the years. A quick look at the feeder cattle futures market quotes confirms the low volume for contracts more than a few months out. Commodities that have sufficiently low volumes are unable to provide both of the above benefits. Further, distrust in the quoted futures prices in the market by those in the cattle industry is likely to limit future use. Even if high frequency traders do not have a significant direct influence on the market, the perception that they do will limit volumes and likely increase volatility. 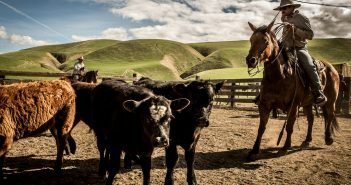 This point has led to an investigation into the live cattle futures market by the Chicago Mercantile Exchange, along with a stakeholder group, to fix any perceived issues with the exchange. As it currently stands, for cow-calf producers in Montana, the futures market still provides a base price that is highly correlated with local price movements (see above) and is more liquid than any alternative. While this may not be the case with day-to-day fluctuations, the long term movement of local and futures prices remains highly correlated. This is critical because most hedge positions are held over long periods. That’s not to say there aren’t legitimate concerns that need attention. Look for more as this story to develops in future posts.